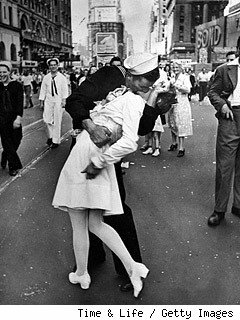 Today is V-J Day, the sixty-fifth anniversary of WWII Victory in Japan. So kiss your friends and lovers, call a veteran and celebrate our freedom. But never, never forget that every victory is bought with a price. …The thundering of running feet coming to Social Studies is still a cherished memory. Luckily, my room was at the end of the hall and other teachers cared little that these guys and girls were in a hurry once they passed their doors. These seventh and eighth graders could not wait. They hurriedly ran in, sat alert breathlessly waiting, not one wanting to be last. Placing a pencil in my gradebook after checking roll, laying it on the desk with a smile gave signal. Everyone crowded into the corner on the floor just leaving room for me to wiggle through with our treasured book. John Hershey’s Hiroshima written first in 1946 and updated in 1985 gave us almost a face to face account of what it was like to live in Hiroshima when “the bomb” fell and afterwards. These students forgot that they were in Social Studies for the first fifteen minutes each day. They forgot that Japan was once our enemy. They eagerly learned all they could after each reading. They listened without moving and then asked ponderous questions. I cannot answer the questions about the efficacy of that decision. I can rejoice that my dad came home. 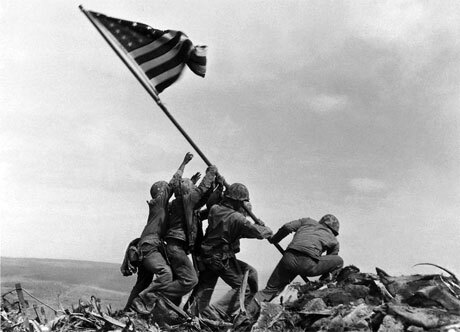 He saw the flag raised on Iwo Jima on February 23, 1945. We waited with great anticipation for each letter always wondering if he would return. We were lucky. He did. Some were not so lucky. So here below are some scenes to help us remember. Now let’s enjoy a look back at more folks at home on that day. President Truman announces Japanese surrender. Edith Shain at 90 beside statue.